We are delighted that you are considering us to take care of your special occasion. Whether it is a christening, birthday, engagement, anniversary, baby/bridal shower, reunion, etc. We understand that you have many options available for your special occasion and our dedicated staff will be ready to help you at any stage with planning your special event. Out professional staff including Executive Chef and Venue Manager Chris Wilksch will ensure that your guests receive a high quality food and beverage service throughout the occasion. We will ensure that you will be able to relax and create long lasting memories of your special occasion with your guests. The South Australian Company Store offers everything you need for your bus group or social outing. Not to mention the beautiful cuisine but also the store which offers your group a vast assortment of locally produce food products and unique gift ware. We provide a truly local experience with many points of interest for your group. 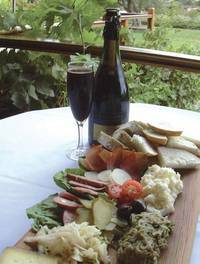 Very competitive menu packages (prices range from $6.50 to $25.00) are available including morning and afternoon teas, light lunch's, set menus and Barossa Long Lunches showcasing the unique regional Barossa Valley products. 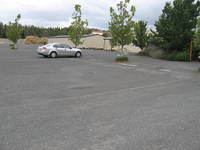 We have a large car park with dedicated bus spaces our facilities also cater for the disabled. For more information email our enquiries we will respond to your query with haste.